If you're looking for a tropical yoga retreat in a luxury ocean front resort, consider the Fort Recovery Yoga Retreat on the beautiful island of Tortola in the British Virgin Islands. The retreat will be held from April 6th - April 10th, 2011 and will feature nine yoga classes in their modern yoga studio or on the dock outside, along with a $50 spa credit, gifts, breakfast, and afternoon tea. There will also be a dinner social, a fully equipped kitchen, and daily housekeeping services. There will even be an optional group sailing trip for those who want some peace and relaxation on the water. Fort Recovery is a popular beachfront villa-style hotel that was a fort built around the 17th century. 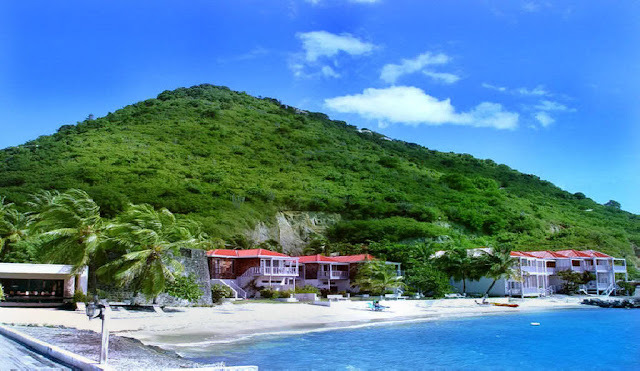 It is possibly one of the oldest, completely intact forts in the entire Caribbean. Today, the hotel not only offers beachfront villas, but also has a bar, restaurant, spa, water activities, and a lush tropical environment with a private beach. If you can't make it in April, Fort Recovery also offers many packages throughout the year including weddings, yoga retreats, sailing packages, and diving packages.